As an industrial designer, botany has always fascinated and inspired me. The aesthetics of plants, their shape and structure are designed to be perfectly functional, with each part perfectly in-sync and assisting the other. Nothing is designed as meticulously as nature. This is what makes it so beautiful. Lighting sets the mood of a room – not just by the light it gives off, but by the actual design of the light fixtures that can completely change the room’s atmosphere. Indoor plants are the key to a fresh and colorful interior décor. It brings beauty, character, texture and good energy into every space. This plant lamp is designed with the botanical inspiration in mind: Powered by LED, the neon acrylic leafs conduct the light through the engraved veins all the way from the base to the top of the plant, emanating a soft green light into the living space. You can see the intricate details on the leaves when the plants glow at night. 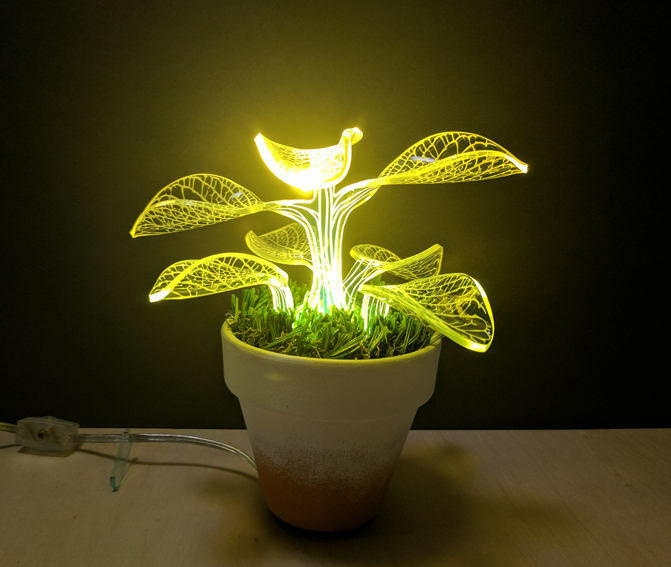 Each lamp plant is unique since every leaf is bent individually to create an organic form that is one of a kind, just like in nature. 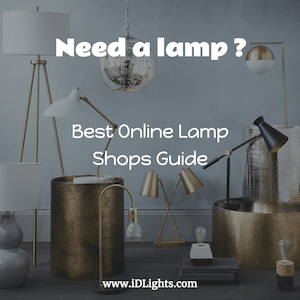 These unique lamps are an uplifting addition to your home. They add a distinctly artistic touch and the natural calming effect of plants on your living environment. They look great whether the lamp is on or off. This one of a kind lighting fixture is the ultimate housewarming present for anyone who loves unique home décor. Best of all, no watering needed!